The objective of this Observatory is to present one of the sectors of the Monegasque economy, namely Real-Estate, and more specifically private sector Real-Estate for residential purposes and its decennialtrend. The objective of this observatory is to present a summary of the figures of the Monegasque Retailtrade sector in terms of GDP, turnover, employment andestablishment. The Key Figures booklet presents the main statistics of the past year in the Principality. This publication is available in french and english. Monaco Statistics provides free and open access to the chapters of"monaco en chiffres" in electronic format. The aim of the Demography Observatory is to present the main demographic indicators for the population of Monegasque nationality. The IMSEE has conducted a study of the economic benefits of the 2017 edition of the Monaco Formula 1 Grand Prix. 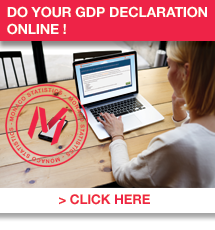 The objective of this observatory is to present a summary of the figures of the Monegasque Industry sector in terms of GDP, turnover, employment and establishment. Following the third meeting of the Scientific Council, Monaco Statisticshas published the prospective survey of housing needs of Monaco up to 2022.